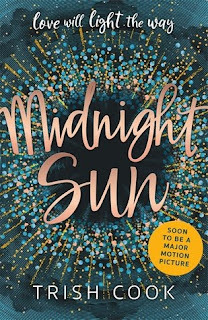 I requested this book because I saw the movie was coming out and it looked like it would be an adorable read and a fantastic contemporary romance. Thank you so much to Pan Macmillan South Africa for providing me with a copy of this book. Just a quick small disclaimer for those reading this review. I have received this book for free. Please note that this does not affect my opinion in any way. All thoughts are my own. I found the writing to be quite simple. It made the narrator sound young, way younger than someone who has just graduated. The vocabulary was simple as well as the dialogue. Because of this fact, I found myself both racing through the book but not really connecting with it. I enjoyed the plot. 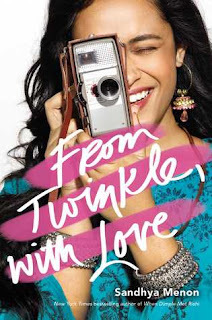 I thought that it had the typical structure of a contemporary young adult romance but I really enjoyed it nonetheless. I think that the added suspense of Katie's decision to tell Charlie about her condition really helped with the pacing of the book because as a reader you are intrigued to see how he reacts and how everything gets spilt. I also really liked their relationship, it had some swoon-worthy moments. I couldn't really connect with the characters. I found myself enjoying their characters but I found myself lacking a connection. Katie's best friend honestly stole the show the moments she appeared on the page. She just seemed to have a little something more memorable about her. Overall, this book is a great summer read. It has everything you could want from a YA contemporary book. However, the writing was quite simple in this book causing the narrator to sound younger than she actually was. The plot was definitely the highlight of this book. It has all the right elements of a swoon-worthy love interest and a possible doomed from the beginning romance. The characters are likeable but I didn't find myself really connecting with them. With that being said, I did enjoy the book. Thank you so much to Pan Macmillan South Africa for providing me with a copy of this book.